In tropical Malaysia and Singapore, Winter Olympics medals are rarer than snowflakes –- but a dedicated group of athletes are hoping to change that as they make their countries’ debut Games appearances. It is the latest sign of an unlikely, yet growing, interest in ice and snow sports in a winterless, steamy region, where temperatures rarely drop below 20 degrees Celsius (68 Fahrenheit) in most places. But it was not without problems — puddles formed on the hockey rink during matches, slowing down the puck and forcing marshalls with squeegees to dash onto the ice to mop up the water. Figure skater Julian Yee, who will represent Malaysia at next month’s Games, is typical of athletes from the region who have had to overcome a lack of facilities, limited official support and public scepticism to pursue their dreams. When growing up, the only places he could find to practise were a handful of small, crowded rinks in the shopping malls scattered around the capital Kuala Lumpur. Figure skating on the tiny rinks was “like trying to get an A380 (world’s biggest airliner) to land on a very small runway”, the 20-year-old told AFP. “I skated two times a day, six days — sometimes six-and-a-half days — a week,” he said. There were no official programmes or funding for figure skating so Yee’s parents had to spend huge amounts of their own money on his training. 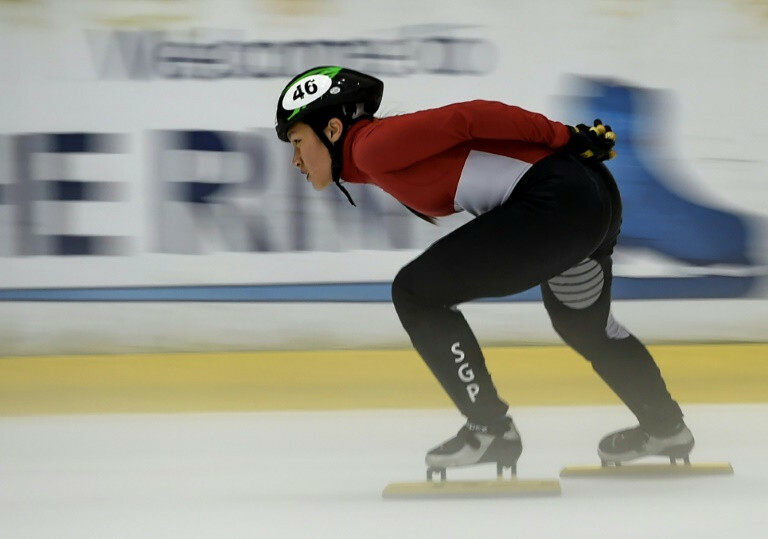 Speed skater Cheyenne Goh has faced similar challenges in neighbouring Singapore, where even a modest cold snap can set the population shivering. This month a freak monsoon surge sent the mercury plummeting to almost 21 degrees Celsius (70 fahrenheit) — chilly by Singapore standards — sending people rushing to the shops to buy scarves and winter jackets. But supporters hope her participation in the women’s 1,500 metres category will encourage more Singaporeans to take up winter sports. “After Joseph Schooling’s gold medal, many more became keen on swimming — and we are hoping that the same happens to us,” said Singapore Ice Skating Association president Sonja Chong.